Firelord (Pyreus Kril) is a Character in the fictional Marvel Universe (Marvel Comics). The character was created by Gerry Conway and John Buscema, and first appears in Thor (vol. 1, Jul 1974). 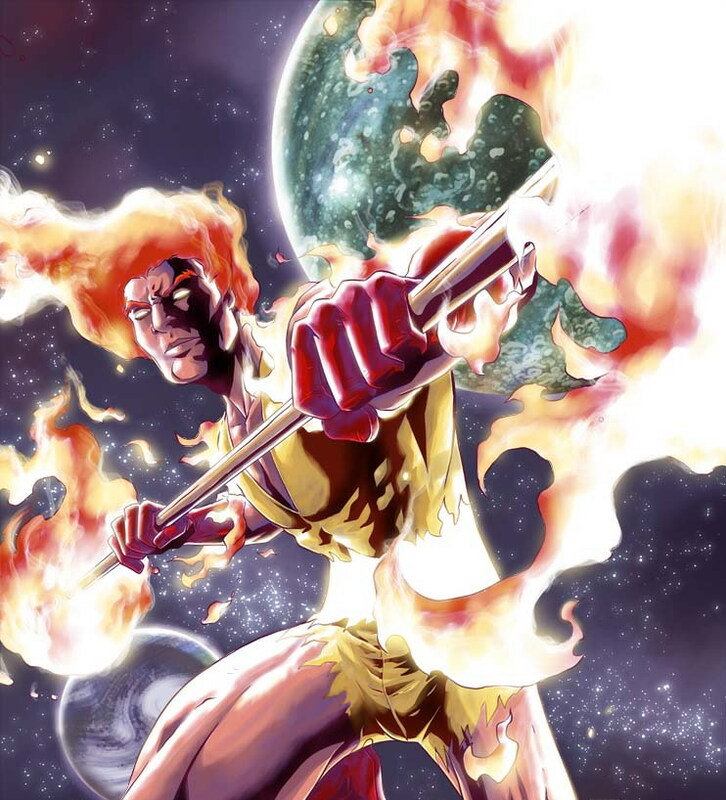 More about Firelord (Marvel Comics) Character Review - keep reading !! Pyreus Kril was born on the planet Xandar, in the Andromeda Galaxy. He is a graduate of the Nova Corps Academy, the military and exploratory force of the planet Xandar. During his commission, he served aboard a Xandarian ship under the command of Gabriel Lan. Gabriel and Pyreus became friends, until Gabriel was abducted by the cosmic entity Galactus and transformed into the herald the Air-Walker. Pyreus assumes command as captain and begins an obsessive search for Gabriel. Pyreus eventually locates Galactus' vessel and confronts the entity, only to discover that Gabriel was killed in combat. Galactus tells this to Pyreus only after the Xandarian agrees to serve him as his latest Herald. Pyreus is then transformed into Firelord, and after a period of servitude asked for his freedom. Galactus agrees on the condition that Firelord first find a replacement. Firelord travels to Earth and after an encounter with the Thunder God Thor and Hercules is freed when Thor presents Galactus with the armor of the Asgardian Destroyer to animate and use as a Herald. After aiding Thor on several occasions, Firelord returns to deep space. He returns months later with the Shi'ar agent Erik the Red, who tricks Firelord into battling the X-Men. Several years later Firelord discovers that Thor has battled a robotic replica of the Air Walker, and after revealing the origin of the two Heralds to Thor returns to space with the remains of the android. Firelord later encounters Spider-Man in a fight - albeit one provoked by humans who drove Firelord into a temper because they believed that he was a mutant - but he was defeated by the wall-crawler due to Spider-Man's hit-and-run approach serving as an effective counter to Firelord's brute raw power. Firelord also meets the superhero team the Avengers, and assists them against the space-pirate Nebula. 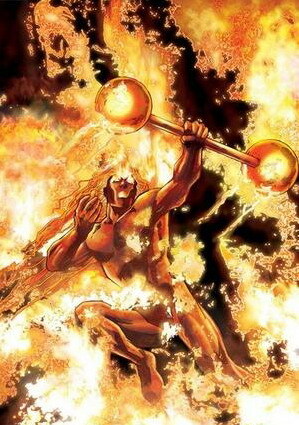 Firelord has since aided his fellow Herald Silver Surfer on a number of occasions, particularly against the threat of Morg, Galactus' most brutal Herald. 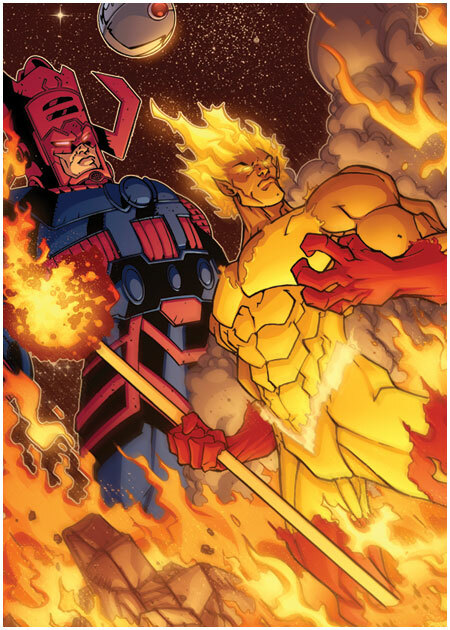 Firelord assisted Thor in his battle against Thanos and his thrall Mangog. Firelord and Air-Walker also helped Nova and the New Warriors fight the Xandarian villain Supernova. Pyreus Kril was a normal man until transformed by Galactus. 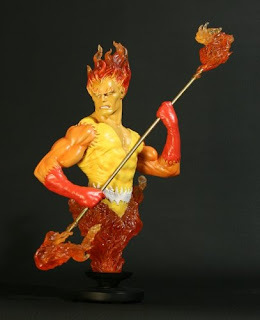 Given mastery over the cosmic flame, Firelord wields a flaming staff and is capable of energy projection via his eyes and staff. Like all Heralds, the Power Cosmic provides Firelord with superhuman strength, reflexes and durability, flight, mastery of the electromagnetic spectrum and total immunity to the rigors of space. Firelord is also capable of travelling faster than the speed of light. Pyreus Kril graduated from the Xandarian Nova Corps Academy, and in addition to a thorough knowledge of combat has knowledge of advanced alien technology and space navigation. Firelord is featured as a boss in the Silver Surfer video game.